Director of National Intelligence James Clapper and director of the Defense Intelligence Agency Army Lieutenant General Michael Flynn testified before the Senate Armed Services Committee today and reiterated the same assessment regarding Iran as was delivered in March 2013. 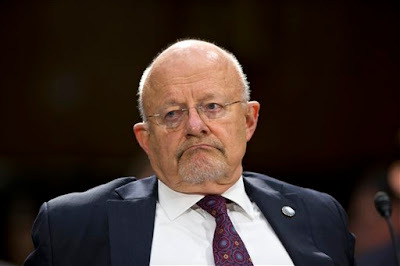 As such, Clapper again reported to the Senate Committee, "Iran has the scientific, technical, and industrial capacity to eventually produce nuclear weapons. This makes the central issue its political will to do so." Again, undermining the bogus claims that Iran is an irrational and reckless actor, Clapper maintained the judgment that "Iran's nuclear decisionmaking is guided by a cost-benefit approach," balancing its own domestic interests with "the international political and security environment." Iran also has a defensive - not aggressive - military posture, one based on "its strategy to deter - and if necessary retaliate against - forces in the region, including US forces" were an attack on Iran to occur. During questioning from Senators following his prepared remarks, Clapper admitted - as a number of recent independent reports have shown - that the increasingly harsh sanctions levied upon Iran have had no effect on the decision-making process of the Iranian leadership, yet has produced considerable damage to the Iranian economy and resulted in increased "inflation, unemployment, [and the] unavailability of commodities" for the Iranian people. This, he said, is entirely the point. Responding to Maine Senator Angus King, who asked about the impact sanctions have on the Iranian government, Clapper explained that the intent of sanctions is to spark dissent and unrest in the Iranian population, effectively stating that Obama administration's continued collective punishment of the Iranian people is a deliberate (and embarrassingly futile) tactic employed to the foment regime change. "What they do worry about though is sufficient restiveness in the street that would actually jeopardize the regime. I think they are concerned about that," Clapper said of the Iranian leadership. It is no wonder, then, why Clapper refers in his own official report to the economic warfare waged against Iran as "regime threatening sanctions." Not mentioned in the session, of course, are the decades of repeated affirmations by senior Iranian officials that Iran rejects nuclear weapons on strategic, moral and religious grounds. Within the past six weeks, this position has been reiterated by Iran's envoy to the IAEA Ali Asghar Soltanieh, President Ahmadinejad, and Ayatollah Khamenei himself. Just two days ago, for instance, during a three-day diplomatic visit to Africa, Ahmadinejad declared, "The era of the atomic bomb is over. Atomic bombs are no longer useful and have no effect on political equations. Atomic bombs belong to the last century, and anyone who thinks he can rule the world by atomic bombs is a political fool," according to a report by Iran's state-run PressTV. He also pushed back the constant conflation in Western discourse of nuclear energy with nuclear weapons. "Nuclear energy is one thing and an atomic bomb is another. This useful energy must belong to all nations," he stated. Furthermore, reports that Iran has continued converting its stockpiled 19.75% enriched uranium into fuel plates for its cancer-treating medical research reactor gained absolutely no traction within the Committee or Clapper's comments. For Congress, Iran is a threat simply by virtue of having independent political considerations, inalienable national rights and refusing to accept American hegemony over its own security interests. South Carolina Senator Lindsey Graham, who spends most of his time advocating for new, illegal military adventures in the Middle East, presented this wholly disingenuous and misleading question to Clapper: "Over the last six months, as we've been imposing sanctions and been negotiating with the P5+1 regime, [does Iran] have more or less enriched uranium for a nuclear bomb?" None of Iran's enriched uranium is "for a nuclear bomb" insofar as it is all far from weapons-grade and under the safeguard and seal of the IAEA. Iran's enriched uranium is no more "for a nuclear bomb" than Graham's fanciest set of steak knives are for throat-slitting. "Can I just say it's more?," Graham proffered, revealing that he already knew the answer he wanted to hear, at which point Clapper chimed in. "Not highly-enriched," he said, "but up to the 20% level." Graham was undeterred from his propagandizing and grandstanding. "Well, they're marching in the wrong direction," he said. "We talk, they enrich." AIPAC poetry at its finest. Shortly before ending the session, in response to questions from Connecticut Senator Richard Blumenthal, Clapper stated that the relationship between the American and Israeli intelligence communities - especially on the Iranian nuclear program - has "never been closer or more pervasive," citing unprecedented levels of "intimacy." While each state continues to maintain its own unique sources for intelligence gathering, Clapper said, "generally speaking," the United States and Israel are "on the same page" when it comes to Iran. Pressing the issue on behalf of his AIPAC backers, Blumenthal asked whether all information is shared between the two nuclear-armed nations, at which point Clapper declined to agree completely. Despite inarguable ties between the U.S. and its closest ally in the Middle East and despite statements from U.S. politicians trumpeting the friendship, U.S. national security officials consider Israel to be, at times, a frustrating ally and a genuine counterintelligence threat. In fact, the AP states, "The CIA considers Israel its No. 1 counterintelligence threat" in the Middle East, meaning that the agency "believes that U.S. national secrets are safer from other Middle Eastern governments than from Israel." This is unsurprising, of course, as "Israel's foreign intelligence service, the Mossad, and its FBI equivalent, the Shin Bet, both considered among the best in the world, have been suspected of recruiting U.S. officials and trying to steal American secrets." Did any of that make it into Clapper's "Worldwide Threat Assessment" today? No, of course not. Israel was only mentioned as a victim and an ally. One might think an untrustworthy, nuclear-armed serial aggressor, constantly threatening to drag the United States into an unprovoked military conflict with inevitable devastating consequences, all with the allegiance and blessing of Congress, would rank rather high on potential security threats to the United States. But James Clapper isn't allowed to say that.